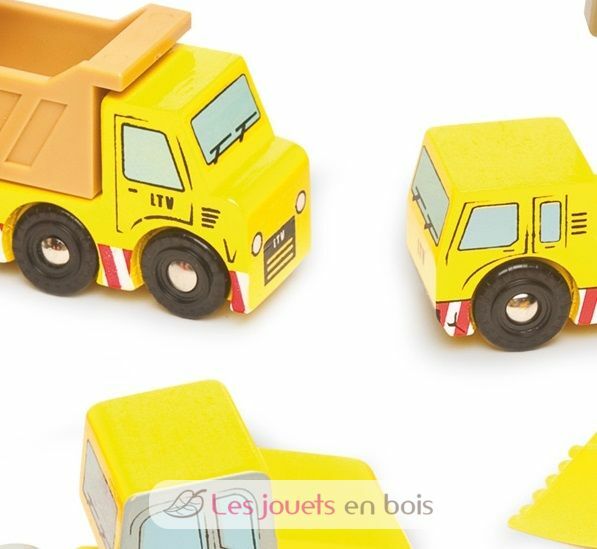 Construction set, A set of 5 construction vehicles made by Le Toy Van, item number TV442. 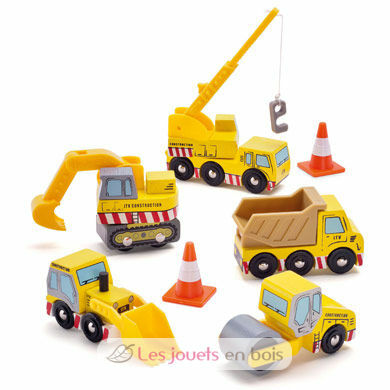 A set of 5 construction vehicles with functioning parts - lifting crane, scoop, roller, digger and tip-up truck and two traffic cones. All vehicles have funtional parts, including an extendable crane and an articulated digger arm. This set is perfectly scaled for Le Toy Van's extensive garage and vehicle range (sold separately). 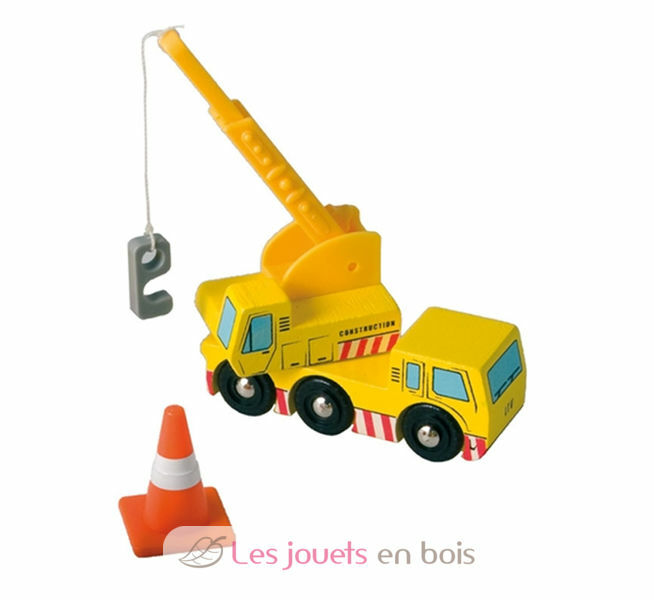 A construction set made by Le Toy Van, item number TV442.